We try to take trips that last at least three weeks. Often, we plan the trips over Christmas and New Year’s. Many times, we go during summers, and once in a while, we pull the kids out of school for two or three weeks in the fall or spring. That way, we can plan our trip based on when airfare costs less. This year, we went to Chile and the Atacama Desert during December and January. It was the middle of the winter in New Hampshire, while Chile was in the middle of summer. We had a home base in Santiago and then went up to the driest desert in the world for a few days. We saw breathtaking scenery in the desert, and we alsorelaxed and took it easy in Santiago. We swam in our apartment’s pool, went to the farmer’s market twice a week, and went to a park or museum every other day. We’ve prioritized jobs that have lots of vacation time. My husband gets four weeks a year and I am a part-time teacher, so I get summers and vacation weeks off. When we become location independent, we’ll have even more flexibility, as we’ll be able to extend those travel sessions by working remotely for weeks at a time. It’s easy to fall into the trap, when you’re traveling, that you need to hit all the pricey tourist destinations. We’ve done it plenty of times. But often, the sweetest memories we have of travel involve walking around a city, playing in a park, or discovering a hidden gem of a museum. 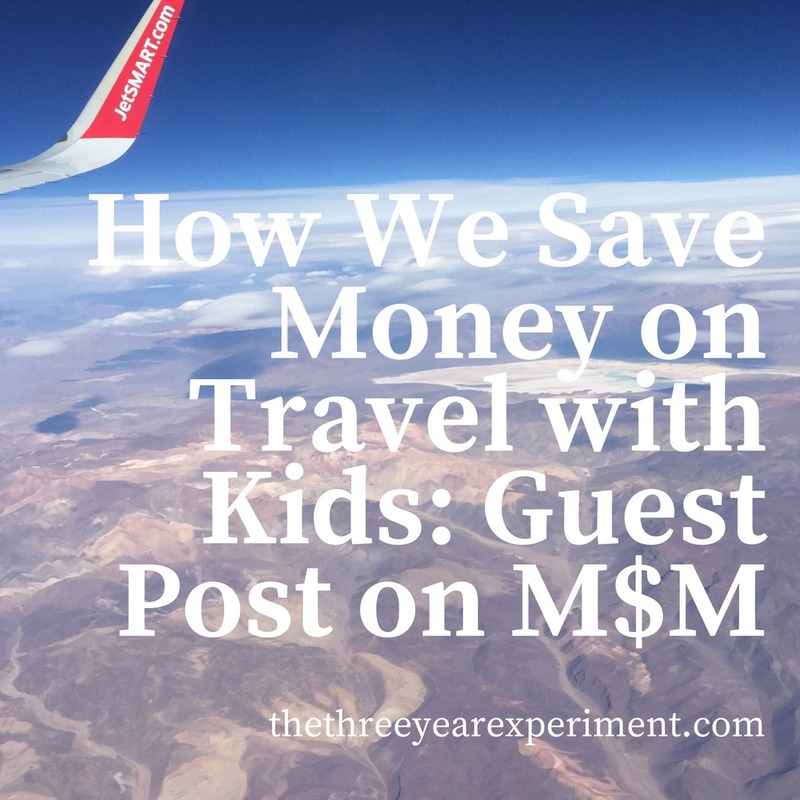 Plus, when you travel with kids, they need a certain amount of time outside to run around and play. We love to go to a local supermarket, stock up on unusual-looking foods, and make a picnic in the park. And taking pictures of iconic landmarks is free – you don’t have to go to the top of the Eiffel Tower. Likewise, when we’re in a new city, we find a cool ethnic restaurant and try it out or grab takeout. We don’t have a lot of variety in our small town, so grabbing some food to go is still an exotic treat for us. To read the rest of the post, please visit Millennial Money Man. See you Monday with our scary spending report from May. Ugh, moving! i always get exotic pork products in the carolina’s. head cheese, puddings, organ meat based stuff. and pimento cheese and cracklins. i went to rio many years ago with very little portugese but ate every street food at the beach.